Create a mindful culture that gives people the tools to succeed at work and life. A fully tailored and ongoing approach to mindfulness in the workplace. Our delivery approach is unique. We offer a combination of professional learning for staff and access to our digital workplace learning platform which features videos, tailored meditations and activities designed to enhance the integration of mindfulness both at work and at home. We're a purpose driven not-for-profit where an investment in your staff means you're also investing in the future Australian workforce. 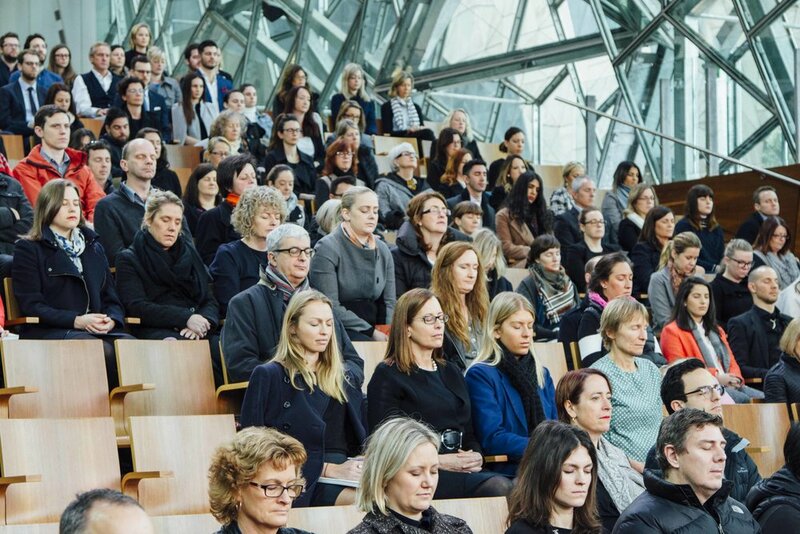 Not only do we offer a comprehensive and evidence based mindfulness program for your workplace, all our profits are used to help support the delivery of mindfulness resources in Australian schools. A world-class digital learning platform for individuals to develop their own mindfulness practise at work and at home. The Smiling Mind digital workplace learning platform features five modules covering the topics of Everyday Mindfulness, Calm, Clarity & Connection. The topics include videos, tailored workplace meditations and activities designed to enhance the integration of mindfulness both at work and at home. You can buy a license for yourself, for a group of staff or get access as part of a workplace package.